Bill Gates recently spoke of his philanthropic work at TED. The video below includes the widely-covered release of mosquitoes into the conference room. A diverse group of participants. Friedman, Thomas "The World is Flat 3.0." Academic Earth. 4 Feb 2009. Web. 21 Feb 2009. His thesis is that the world economy has progressed through three stages of globalization. The first was marked by integration at a country level; the second at a corporate level and the third is at the level of the individual. As a result, economic competition has progressed into each of these three levels and now is at the level of the individual. Power at each stage was derived through integration: the British Empire; Global Corporations and now the individual's ability to collaborate with others. Friedman offers that the key to success of the individual in this 3.0 world is networking; building cross-world relationships at an individual level. Does this suggest deeper roots to the Social Networking phenomenon currently sweeping the web? For those that read a lot on the web and want to keep track of what they uncover, Diigo just delivered release 3.0. The tool offers a number of social booking marking features, but its core functionality is being able to highlight words, phrases, sections of text as well as graphics on a web page. The annotated pages are bookmarked, and optionally tagged so they may be retrieved at a later date. The highlighting facilitates finding the important sections on the page at a later date. It's a great tool for researching a specific topic. I was fortunate enough to have been invited to participate in the Version 3 Beta which was just released yesterday. You can see me among the "Active users" of the site. My recent readings section is generated from my Diigo Bookmarks tagged with "Post"
Now IBM is exploring how different visualizations of the social graph could be useful within businesses, as a way of helping people work more efficiently and make better connections. Aimed at helping workers organize around common goals, the research focused on adapting popular social tools such as bookmarking and blogging for business purposes, and integrating them with each other. The larger Connections suite allows workers to create profiles, blog, form communities around common interests, share bookmarks, and plan and track projects as a group. Each component of Connections is integrated with the others, so a user can move seamlessly between tools. See also a recent posting on this subject on the Atlas announcement. One might have thought that the television industry, with its history of rapid adaptation to technological change, would have become a center of innovation for the next radical transformation in communication. It did not. Nor did the ability to transmit pictures, voices, and stories from around the world to living rooms in the U.S. heartland produce a nation that is more sophisticated about global affairs. Instead, the United States is arguably more isolated and less educated about the world than it was a half-century ago. In a time of such broad technological change, how can this possibly be the case? Networks are built on the assumption that audience size is what matters most. Content is secondary; it exists to attract passive viewers who will sit still for advertisements. Murrow would be outraged not so much by the networks' greed (Murrow was one of the first news personalities to hire a talent agent) as by the missed opportunity to use technology to help create a nation of engaged citizens bent on preserving their freedom and their connections to the broader world. The author had hoped that putting the right technology in the hands of the networks would result in better news. These hopes he seems to have abandoned. Technology is being put into the hands of the consumer allowing them to make the choices; to be the gatherers and editors of the news they consume. Works well if you have an audience that is willing to put in the effort. For those that prefer be couch approach there's always the Daily Show. The ambition for the Facebook tool is to have mobile phones alert each other when in the proximity of another Facebook user who shares common interests or common friends. A team of UK researchers is combining the power of social network Facebook with communications tool Bluetooth to learn more about human interactions. This opens up a can of worms, among them being privacy. We always thought that big brother was going to be the head of state. It increasingly looks like he will be the CEO of some large information-based enterprise. Historically legislation has focused on containing the government. Are we coming to a day when government will be seen as the agent acting on behalf of society? The statistics are impressive - nearly 12,000 applications produced on the Facebook Platform since its launch on May 24th of this year and according to Adonomics those applications were used over 36 million times in the last 24 hours. The intranet is a direct reflection of the ethos, soul, and culture of a company. You can tell a lot from the intranet, the way it’s designed, displayed, organized, the content all reflect how the corporation is run. The analogy to DNA is quite apt. Monkeys and humans share some 93% of the same DNA, yet they are so different. The difficulty is in assessing the meaning of the differences and the evaluation of “good or bad” highly subject to the industry context. It may be less about the DNA building blocks and more about what they are able to do with them or conversely not do with them. For that assessment more traditional measure likely remain essential. Last February Cisco, the venerable provider of Internet backbone hardware, got its hands wet in the social networking scene by acquiring Five Across, a provider of enterprise social networking software. A little under a month later, the acquisition bug struck again as Cisco purchased the assets of social community site Tribe.net. The acquisitions seemed a little odd to some folks at the time. Matt Marshall of VentureBeat started off a post about the Five Across acquisition by asking, "What has the world come to?" Ultimately, as Marshall concluded, Cisco saw social networking as a wider trend that will drive a lot of Internet traffic -- over their routers, if they played their cards right. Is Cisco's move a marketing ploy (to legitimize the use of buzz-words) or are they developing new markets? Seems a bit of a stretch to say that social networking will drive traffic and therefore Cisco should buy in to make sure it is their routers that are bought. 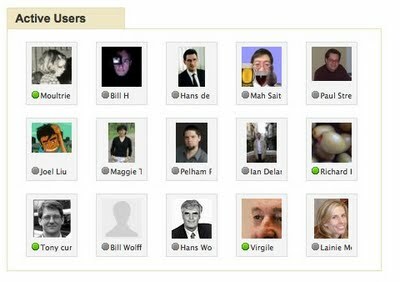 Doc Searls Weblog · The only real social networks are personal ones Annotated. First, I’m not sure a “brand” can get social at all. Second, the notion of “brands” either “building” or “joining” social networks strikes me as inherently promotional in either case, and therefore compromised as a “social” effort. Third, I’m not sure social networks are “built” in any case. Seems to me they’re more organic than structural. Fourth, the thing companies need to do most is stop being all “strategic” about how their people communicate. Stop running all speech through official orifices. Bottom line: companies aren’t people. If you like talking about your work, and doing that helps your company, the “social network” mission is accomplished. The first point "I'm not sure 'brand' can get social at all" seems to highlight a distinction between the "social" and "business" networks. First it suggests there are two (at least) and they are different. The difference lies in their purpose, how they evolve, their structure, participation and relationship among the participants. However, it is possible that many of the underlying technologies can be shared and no doubt that will incur some level of confusion. It's probably worth keeping in mind that people are social beings and we don't need tooling to be social or drive us to create social networks. However, tooling can help over come challenges of location/physical proximity; time, etc. in general the things that often inhibit a network from forming. "A Google Profile is simply how you represent yourself on Google products — it lets you tell others a bit more about who you are and what you're all about. You control what goes into your Google Profile, sharing as much (or as little) as you'd like." It's not a stretch to see that these profiles are the perfect host for your activity streams and your public activities could become a part of the profile (uploading photos to a public album, bookmarking web pages, posting a new blog post). Certainly these profiles are simple in concept, but wide-reaching in application. The full scope of implications will take time to understand, especially given the potential scope of one's relationship with Google it's potentially a pretty key [central] source of personal information. Already a business networking utility with minor community features, LinkedIn launches improved homepage with aggregated news and customized features. In addition, LinkedIn’s launching an API (so third party developers can create applications) starting with Business Week’s “social bookmarks” feature. I see this as a success as this becomes less of a part-time utility to more of a full-time business platform. LinkedIn already boasts some community features, such as LinkedIn answers, network like sharing tools, all lead by the official LinkedIn blog. I expect to see calendar, event, collaboration, knowledge sharing, and profile matching type of widgets and applications on LinkedIn’s community platform. For any such tool to become a full-time business platform it has to transition seamlessly across the internal and external [social] networks. The boundaries between the two are becoming purely physical and thus a hindrance in a location-independent society. 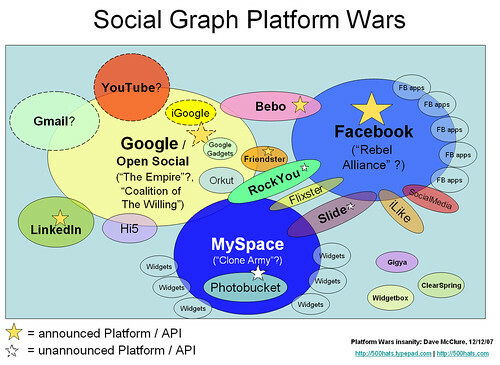 There is clearly a move to extend beyond hosting the social graph and doing something with it. Having betrayed the trust of it’s users twice, a third time is going to result in mutiny, and users will start leaving, it wont be hard for some users to organize and move. - Marketing, which typically owns blogging, blogging outreach and any sort of affy community, and has some skin in the game on strategy. - Product Development, which may or may not own Discussion Groups, a Beta site, and potentially a “Labs” community, as well as potentially product development communities and user groups. - IT, if you are REALLY lucky, your IT department is somehow involved with infrastructure. If an organization exists within a society then presumably it will want to ensure that its role in that society is well managed. This infers some co-ordination. While the exposure may be different through marketing vs. support a lack of co-ordination can have some negative effects. It is time to rethink the whole notion of social networking, and start thinking of it as a feature for other online activities. The social networking is simply embedding itself into services. Social networking sites, such as FaceBook, MySpace, exist upon their own merit, albeit often within some context such as social group (e.g., University students). The question posited here is whether the social network should be embedded as part of fuller services or "experiences" with the intent to supplement those services/experiences? Possibly. While social network may exist on their own merit, networking does evolve from some common or shared experience and may exist solely within that scope. FaceBook, for example, may support the needs of the former. It is unclear what specifically supports the latter. The alternative is a network arranged around a single event or a recurring series of events intended to augment the experience itself in some fashion, either by extending the original experience or supporting how it may evolve. IBM announced the availability of IBM Atlas for Lotus Connections, a corporate social networking visualization and analysis tool. Atlas has four Web 2.0-based components -- My Net, Find, Reach and Net. These components help users spot the important connections and the relationships between various groups and navigate their personal and corporate networks. Atlas offers a number of tools that enable one to explore the nature of their corporate network and tools to leverage it. The danger of course is to move the focus away from the social network itself towards the data around it. A fine balance. The tool seems to be focused internally to the enterprise. As [social] network complexity in smaller firms is relatively simple, does this mean that Atlas is only for the large enterprise? Can it work if it is contained to within a corporate network or to be more widely usable does it need to included people outside the corporate boundaries. If so, that suggests a material value proposition for the standardization efforts underway. Social networks are growing like weeds. This creates a difficult weeding problem for enterprises, who fear adverse impact from employees spending time and sharing company info in Facebook groups, which aren’t protected by corporate firewalls. The use of Facebook as a social networking tool within the enterprise potentially exposes confidential information to the public. "WorkBook" is an application that enables the creation of secured / controlled access areas limited to those with [corporae] credentials. This keeps confidential information within the secured area of the social network. Or, that's the theory. More broadly this demonstrates the distinction between the boundaries of the physical intranet and logical [enterprise] social network. As such the physical constraints implemented for an intranet such as identity management, access control to resources and fire walls don't align with the needs of the social network. Academics, musicians, even poker champs use pills to sharpen their minds, legally. Labs race to develop even more. Sort of leads one to wonder if our mental abilities are designed to match our environment? They must meet the minimum, otherwise we would not survive. Do they exceed? Quite possibly as we seem to be very successful as a species. Or are we in balance with something unspecified, which actually may be of our own making? Ourselves? The best compromise for a compact camera is a sensor with 6 million pixels or better a sensor with a pixel size of 3µm.